I like to read at my leisure, looking out for interesting new ideas about the (hi-)stories of companies, be they famous or less famous. Written by academic business historians or by journalists, business histories provide a longitudinal perspective on the evolution of companies over longer time periods, and hence provide perspectives of the log-term implications of the actions of business leaders - something often lost in an age when cross-sectional research dominates fields such a strategic management. The books on this page have been written by authors independent of the companies they study, and they tell the story as it happened with rich qualitative data, clearly separated from the authors own interpretation of events. I like that style because it enables to reflect myself on why things may have evolved the way it did, and what that implies for any of the issues we research and teach at business schools. Curiously, many business history books that I have read are not published in English, quite contrary to the sort of things I otherwise read. For more books, visit my related sites: books I recently read, books about China, and scholarly book reviews. Lego is probably the most popular children's toy the world over. Less known perhaps, behind those little bricks stands a family business from, Billund, a small town in the West of Denmark that has been one of the greatest success stories of Danish business in the past half century. However, the company fell on hard time early in the 21st century as it tried to play in broader markets, and seemed loose its focus what made it strong and famous in the first place, namely its toy bricks. As performance deteriorated, the owner appointed new people to the board, and dismissed other - perhaps a bit late - ad eventually put his faith into a young man in his mid thirties who led a restructuring that brought Lego back on the path of profitable growth. Essentially the new strategy is not unlike the strategy of the 1960s and 1970s, namely focused on one particular products - Lego bricks and their variations - and the emphasizing the pedagogical qualities as well as the fun aspects for kids that these bricks provide. The story of crisis and how Lego eventually came through it, is told by Niels Lunde, a business journalist, in great detail. It raises interesting questions of wider relevance to management, especially in family firms. For example, it illustrates the dangers of a brand extension strategies as Lego followed it from the late 1990s, when Lego tried to leverage its brand to enter other segments of the children toy market for which it actually lack critical competences. It illustrates the challenges of corporate governance in a family owned firm that is managed by directors that are not members of the family, but who have to report to the family - and hence respect their vales - rather than to financial investors. It shows how a relatively young leader can through persistence, thorough analysis, and if necessary tough actions turn around a company facing several years of decline. But it also illustrates the merits of old-fashioned values such as focusing on the merits of the product rather than short term financial gain, and of corporate culture that may have been an obstacle to change, yet at the same time provides the glue that enabled the turnaround. The authors draws four general lessons from the Lego experience (page 275-281): First, you need a solid, unbiased analysis, and avoid the trap of blaming external factors for poor performance. Second, you need a clear philosophy that explains "why does this company exist", or in other words what do we add to the world that others don't. Third, you need to understand your core competences and how you are able to create competitive advantage. Fourth, you need a culture where people think for themselves and are creative. (I am not aware of an English translation of this book). Beecham from Pills to Pharmaceuticals, by Tony Corley, published by Crucile Books, Lancaster, 2011. Meticulously researched, yet very readable, this book tells the history of Beecham, which in the 1980s and 1990s was a major UK pharmaceuticals and consumer goods giant. 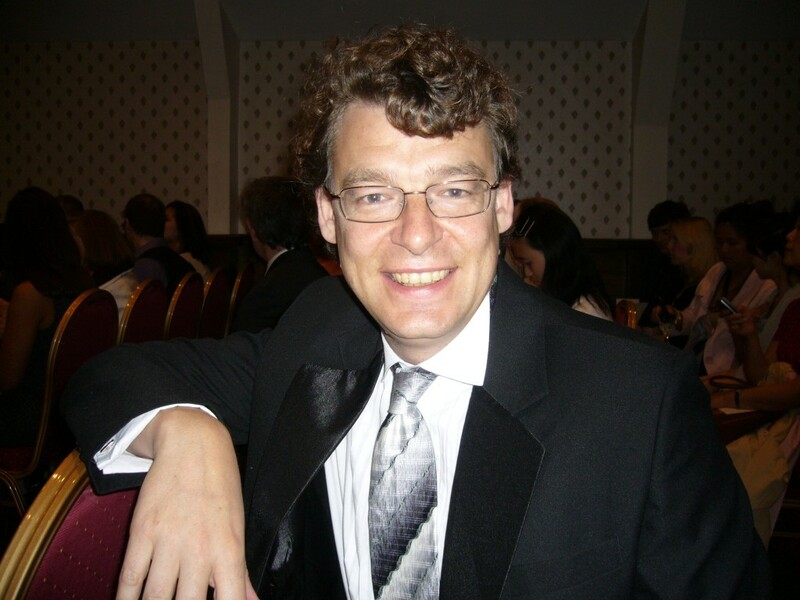 It was written by a former colleague of mine, Tony Corley of the University of Reading (well, strictly speaking Tony retired some 15 years before I arrived in Reading, but he was very much present in the office ... some people never really retire). Tony Corley traces Beecham from the foundation as a pill manufacturer in the 1840s to its amalgamation first in 1989 in "Smithkline Beecham" and then in 2000 in "GlaxoSmithkline". The story of Beecham includes many early international business activities of the sort we research in the age of globalization. Before 1914, when Beecham was still a family-owned firm, it had a production subsidiary in the USA and export sales especially to Commonwealth countries such as Australia, Canada and India. Already in the 1960s, Beecham had an R&D subsidiary in the USA and was engaged in extensive "reverse knowledge transfer"; it appointed a non-British CEO in 1986; and after the merger with Smithkline it had legal headquarters in the UK, but operational headquarters in the USA. Such high degrees of internationalization continue to create major organizational challenges even for the best multinationals. Key to the evolution of the firm have been the men (no women) at the helm of the organization. Each one of them leaves his mark on the organization, but often not in the way they intended. Several entrepreneurs shaped new paths of growth and/or profitability for the firm, while others kept the firm afloat in volatile times. Tony Corley does a great job in exploring the character of the key players in the company, and the interplay between them in the company leadership. While most of the leaders had major achievements, none of them was flawless, each having personal weaknesses. Great people sometimes also make great mistakes, that successors then have to deal with. The worst mistakes of Beecham CEOs, arguably, relate overly ambitious diversification strategies - notably in 1914, 1945 and 1971, a surprisingly uncommon concern even in today's world of global business. Another "mistake" from a business perspective might be to loose focus of your business and invest your money in your son's musical education - though that just might just enable one of the greatest conductors of the time. Hence, music lovers associate the name Beecham with Sir Thomas Beecham, a descendent of the family that build the drugs company. Mærsk: Manden og Magten (Maersk: The Man and the Power), by Peter Suppli Benson, Björn Lambek og Stig Örskov, published by Politikkens Forlag, Copenhagen, new revised edition November 2007.
Business history can sometimes be as exciting to read as a crime novel. This book tells story of Mærsk McKinney Möller, the world's largest container shipping line. Established in 1904 by his father A.P. Möller, the company now known as A.P.Möller - Mærsk has become a formidable player in the global shipping industry, and a key player in Danish industry - and politics. Mærsk and his father are admired for their spectacular business acumen, making Danes proud. Yet, with a company of such size and political weight, it is hardly a surprise that it also attracted controversy: from historical disputes over activities during the German occupation, to controversial oil concessions in the North Sea, tax negotiations with Danish prime ministers to price fixing convictions by the European competition authorities. The journalists authoring this book tell the story of the ups and downs of the company and it undisputed leader. Mærsk retired from the board aged 90 in 2003, and since then company became a little more like other companies: with a boardroom coup that brought in Carlsberg's CEO Niels Smedegaard Andersen as new CEO in November 2007. (In Danish, I am not aware of an English version of this book). Postcript: Mærsk McKinney Möller passed away aged 98 in the year 2012. 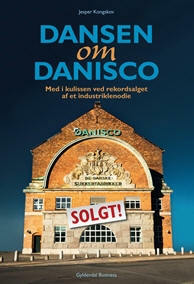 Dansen om Danisco: Med i kulissen ved rekordsalget af et industriklenodie (The Dance around Danisco: As an observer at the record sale of an industrial icon), by Jesper Kongskov, Copenhagen: Gyldendal Business, 2012. The take-over of one company by another often involves a lot of drama behind closed doors, yet due to confidentiality commitments by the key players, little of that usually reaches the public. The sale of food ingredients manufacturer Danisco to American chemical giant DuPond has been the biggest such sale in Denmark. The management of both companies managed to kept secret until the deal was negotiated and presented to shareholders. Yet, they did not agree and held out for more, and eventually convinced Dupond to up its offer. The book tells the story in rare detail, and provides unusual insights into how key players in a take-over battle negotiate, employ advisers, involve the media strategically, and last not least use brinkmanship to come closer to their goals. The shareholders in Danisco were widely dispersed, and no none major shareholder would represent a substantial enough share to secure the deal, yet they managed to band together and extract a further price increase from Dupond. It also tells of the development of Danisco ahead of the take-over: The company went through a radical restructuring from a domestic conglomerate to become a global player in a specialist industry, but the new company had been slow to integrate new acquired operations (also see my blog, June 2012), and economic performance had been disappointing shareholders for a while, in fact they forced a resignation of the chairman only a few months before negotiation for the sale started. The author had been following Danisco throughout the years as a journalist for the local business newspaper Børsen, and interviewed key players again e few months after the deal has been finalized. This provides him with very rich primary data to tell the story, and he does so in a very lively style. (though he does not provide detailed sources, which makes it hard to verify details of the story, nor does he consider scholarly work on Danisco). As a complement to the book, the newspaper Børsen discusses the book with the former CEO of Danisco, Tom Knutzen, in a podcast. If the book is ever published in English, I would suggest a more catchy title; how about 'The battle for Danisco: How small Danish shareholders played cat and mouse with Dupond'? 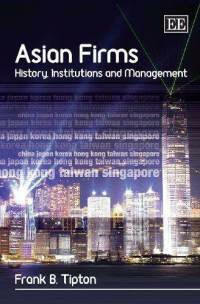 Asian Firms: History, Institutions and Management, by Frank B Tipton, published by Elgar, 2007. Frank Tipton, an Australian business historian, describes businesses across Asia in a historical perspective. His review of the evolution of political, economic and business spheres since the 19th century provides a grounded understanding of businesses today, especially the cultural and institutional traditions. The book provides many historical details, yet excels at outlining the the broad long-term trends and setting events in historical context. It also provides insights into the communalities and differences in business history in Japan, Korean, Taiwan, China (Mainland), Thailand, Hong Kong and Singapore. Tipton has studied the region for decades, and he introduces readers to multifaceted literatures on Asia. His eclectic and historical approach offers a depth of understanding that goes well beyond the writing many contemporary 'doing business in' authors. His chapters on China are most detailed. | Home | About Me | Research | Publications | Teaching | My Photos | Travels |Contact | .